In its biggest-ever fundraise till date, online food delivery startup Swiggy has secured $210 million (around Rs 1,400 crore) in a Series G investment round led by South African technology conglomerate Naspers and Yuri Milner-led DST Global. The company said in a statement on Thursday that the new round will also see participation from existing backer Meituan-Dianping, a Chinese e-commerce service platform. US-based hedge fund Coatue Management will come in as a new investor. A person familiar with the development told VCCircle that the investment valued Swiggy at $1.3 billion, which means the startup has now entered the haloed unicorn club. Local rival Zomato is also valued at more than $1 billion. The fresh funds will be used to “quickly ramp up supply chain network and expand to new markets, while investing in core capabilities that enhance consumer experience and the brand”, the company said. Swiggy, run by Bengaluru-based Bundl Technologies Pvt. Ltd, said it will also double its technology headcount to build operations, personalisation and connected supply chain systems. The latest investment comes just three months after Swiggy raised $100 million in Series F round also led by Naspers with participation from existing shareholder Meituan-Dianping. VCCircle had reported last month that Swiggy was looking to raise $250 million afresh, instead of $150-200 million it was considering earlier. The Series G round takes the company’s total external funding to $465 million. Investment bank Avendus Capital was the financial advisor to Swiggy for the latest fundraise. 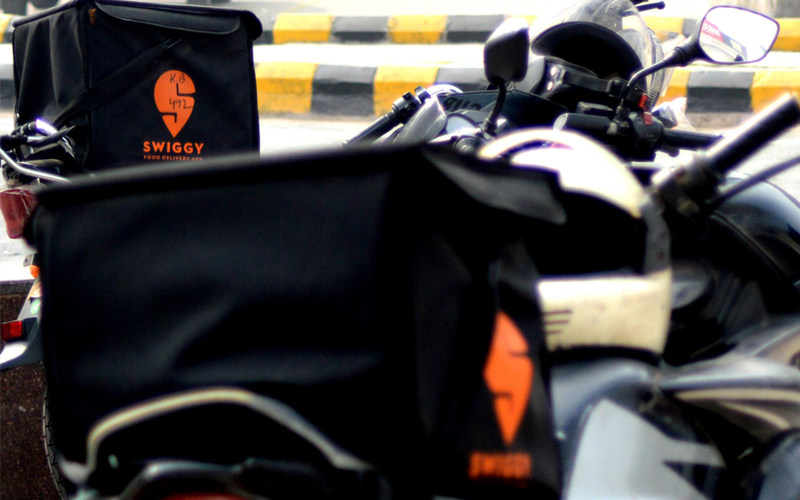 “With this investment, we will continue to widen Swiggy’s offerings, along with bolstering our capabilities and plugging the gaps in the on-demand delivery ecosystem,” said Swiggy chief executive Sriharsha Majety. Since its last round of funding three months ago, Swiggy has started operations in Kochi, Coimbatore, Nagpur and Lucknow. Last May, Swiggy had raised $80 million in a Series E round that was also led by Naspers. The startup had previously secured $15 million in its Series D funding round in September 2016 and $35 million in its Series C round in January 2016. Its other investors include Bessemer Venture Partners, Accel India, SAIF Partners and Norwest Venture Partners. Swiggy was founded in August 2014 by Majety, Nandan Reddy and Rahul Jaimini. Majety and Reddy are BITS-Pilani alumni while Jaimini is an Indian Institute of Technology-Kharagpur alumnus. In September last year, Swiggy appointed former Britannia Industries executive Rahul Bothra as its first chief financial officer. Apart from Zomato, Swiggy competes with the likes of FreshMenu. Another player, Foodpanda, was acquired by homegrown cab-hailing major Ola late last year. Swiggy clocked revenue of Rs 133 crore in the financial year 2016-17, up from Rs 20 crore in the previous year, as per its filings with the Registrar of Companies (RoC). Net loss, however, widened to Rs 205 crore from Rs 137 crore. Total expenditure, too, surged to Rs 345 crore from Rs 157 crore in the previous year. The company is yet to file its financials for 2017-18. Swiggy DST Global Naspers Bundl Technologies Pvt. Ltd.